Note that the IRS announcement has yet to reflect any of the reforms being called for by Republicans, as both parties continue to debate tax laws in Congress. Like last year, the IRS is positioning the way it adjusted tax brackets for inflation as something that results in more benefits for taxpayers. Coming closest to the word benefit: The maximum contribution for 401(k) plans is rising to $18,500 in 2018, up from $18,000 in 2017 — this also appies to 403(b), most 457 plans, and the federal government’s Thrift Savings Plan. The catch-up contribution for those age 50 and up remains $6,000 for all of these plans. The IRS also increased the maximum earnings allowed by those who can a Roth IRA to $120,000 to $135,000 for singles and heads of household, and $189,000 to $199,000 for married couples filing jointly; these ranges are $2,000 and $3,000 higher than 2017 respetively. The other types of benefit that has changed is pre-tax payments for transit passes and parking fees; it’s risen by $5 a month, to $260 a month. Otherwise, other changes for 2018 include deductions, exemptions and income tax credits. Discussion of those areas will continue beneath the tables below illustrating the different tax brackets for 2018, compiled by Kelly Erb for Forbes. Single taxpayers and married couples filing separately get a standard deduction of $6,500 in 2018, up from $6,350 in 2017. The standard deduction is $13,000 for married couples filing jointly, up from $12,700 in the prior year; and for heads of households, the standard deduction is $9,550, up from $9,350 in 2017. These rates are all summarized in another of Kelly Erb’s tables from Forbes appearing below. The standard deduction for a taxpayer who can be claimed as a dependent by another taxpayer is a maximum of whichever figure is greater: $1,050 or $350 plus the dependent’s earned income. The additional standard deduction for the aged and blind is $1,300. The additional standard deduction for unmarried taxpayers is $1,600. Alternative minimum tax exemption amounts are summarized in yet another of Kelly Erb’s tables below. The tax credit for child and dependent care remains $3,000 in 2018. For taxpayers filing jointly with three or more children who qualify for the earned income tax credit, the maximum amount avilable is $6,444. For details on other types of income tax credits for indidivuals, check out this section of the IRS website. The foreign earned income exclusion has risen to $104,100 in 2018, up from $102,100 for the 2017 tax year. The maximum deduction for interest on student loans remains $2,500. Eligibility for the deduction starts phasing out with individual incomes surpassing $65,000 and joint return incomes exceeding $135,000. Taxpayers become completely ineligible when they pass $80,000 and $165,000 respectively. This year’s penalties for not having health insurance — and not having a waiver or exemption — remains the same as 2017: 2.5% of your adjusted gross income, or $695 per adult and $347.50 per child, up to a maximum of $2,085, whichever is higher. The IRS continues to impose the penalty of revoking passports for anyone with serious tax delinquencies, and the threshold for that is $51,000 in tax year 2018. On the opposite end of the spectrum, the amount of money that married couples can pass to each other without taxes goes up to $5.6 million per individual, up from $5.49 million in 2017. Note that the term estate tax is often misunderstood by the media to include heirs other than children when that isn’t always the case — hence our choice of language in the paragraph above. Remember: None of these announced taxes concern the next return you’ll be filing in April, since that involves tax year 2017. 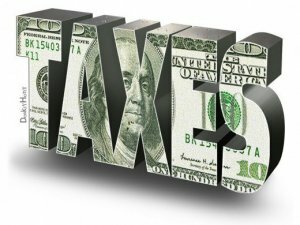 While Congress has plenty of time to debate changes to the tax code before you’ll be filing a return for 2018, it’s not likely that any changes to the law would impact 2019 taxes. Readers, do you have any apprehensions about your next tax returns.